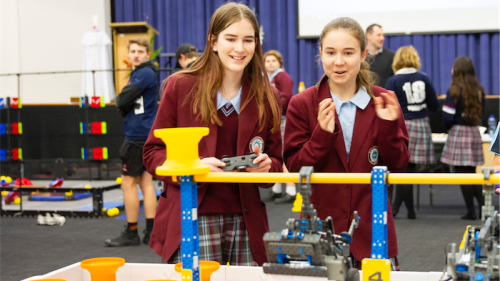 Year 8 students Cheyenne Crozier and Paige Berkelmans during a game at the VEX Scrimmage hosted at St Clare’s. STUDENTS from St Clare’s College will travel to Louisville, Kentucky, to assist or compete in the VEX Robotics World Championships in April after the school was awarded a $20,000 grant. The money, from the Department of Industry is to support students participating in international STEM events and competitions. Over the year, the St Clare’s Women in Information and Communication Hub team has been building and programing VEX IQ and EDR robots and been competing locally. 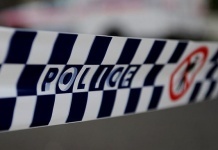 In December, the team travels to Melbourne to compete in the Australian National Competition.